The Friends of Thayer Public Library is a non-profit organization whose mission is to support the library through cultural and educational activities. The Friends fund continuing improvement of library facilities and programs. The group also serves to ensure gifts and memorials go directly to support the library. Check the library calendar to see all the special events the Friends have scheduled! Support the Friends of Thayer Public Library! On Thursday, April 11th visit the Chateau Restaurant for lunch, dinner or take-out and let your server or phone representative know that you are participating in the Friends fundraiser so they can flag your check. For online orders, use the code “FUNDRAISER.” No coupon is needed. When paying your bill, double check that the word “FUNDRAISER” is noted on your bill. For online orders, make sure the fundraiser code has been added. Twenty percent of your bill, before taxes, will be donated to the Friends of Thayer Public Library. Bring family and friends, enjoy a great meal, all while helping the library! Don’t forget that the Friends run an ongoing book sale on the Lower Level of the library to raise funds for the library. The sale is open during library hours and always has a wonderful selection of like-new books in a wide array of subjects. Programs & Projects – Every year the Friends sponsor special programs to enrich your library experience for children, teens, and adults. Over the last few years, the Friends were able to fund emergency repairs to the elevator, a new security system, the lovely gardens surrounding the parking area, landscaping services, gutter repairs, and the children’s room. In the future, we plan to sponsor One Braintree, One Book and lighting changes. Used Book Sale – Purchase gently used books at bargain prices at the ongoing book sale on the Lower Level of the library. Please consider making a tax-deductible donation of books, DVDs, CDs, or audiobooks. Friends Café – Relax with a drink and snack and even some quiet conversation in the Friends’ Cafe on the Main Level of the Library. Gardens – Take the time to enjoy the beautiful flower gardens the Friends planted along Washington Street. Become a member of The Friends of Thayer Public Library. Membership in The Friends is open to all. Applications are available online and at the library. Annual Dues: Supporter $10; Associate $20; Patron $50; Contributing $100 or more. Your contribution is tax deductible. For more information, call 781-848-0405 ext. 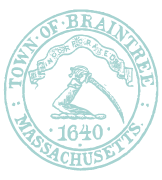 4002 or email us at friendsofthayerpl@braintreema.gov.